Time to break out the trusty denim jacket because… denim is trending this autumn. 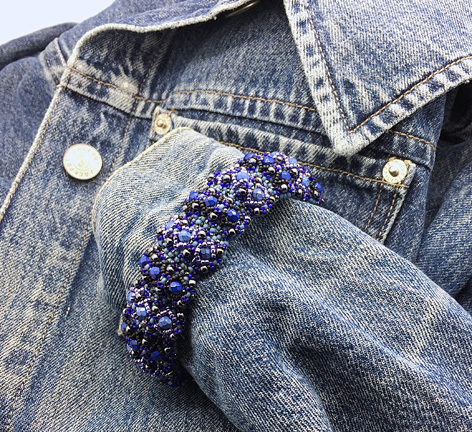 To go with, I’ve created a new colourway for the Harmony bracelet; a perfect mix of blues, whether you’re a stone wash or deep dye denimista. Harmony is chunky enough to hold it’s own, but filled with delicate detail too. Find the new kits here. 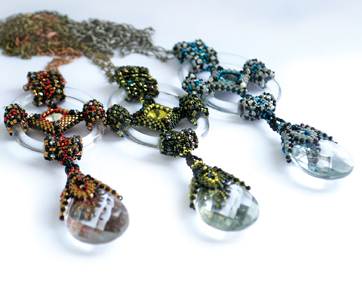 Or if you’d prefer to find the blues in your bead stash, the pdf tutorial is here.